The Police, yesterday, arraigned a 43-year-old man, Adeniyi Adewunmi, before an Igbosere Magistrate’s Court in Lagos for allegedly obtaining N190 million from one Lawrence Akanbi on the pretext of curing him of his ailment and protecting him from spiritual attacks. The defendant and others still at large are facing trial on a four-count charge bordering on conspiracy, fraud and stealing brought against them by the Police. The prosecutor, Friday Mameh, told the court that the incident occurred at Ajao Estate, Oshodi, Lagos. Mameh said “it all started sometime in February 2016, when the defendant and others still at large approached Akanbi and confirmed to him all the ailments he was suffering from with a promise to cure him with their herbs, if only he could pay certain amount of money. “Akanbi instantly believed them because they were able to mysteriously tell his ailments. This continued for quite a long time with the herbalists asking for more money each time. “In some cases, Akanbi would have to travel all the way to Ekiti to pay the requested amount of money, totalling N190 million. According to the prosecutor, the offences committed are punishable under Sections 411, 314 (a), 314 (2) and 287 of the Criminal Laws of Lagos State of Nigeria, 2015. 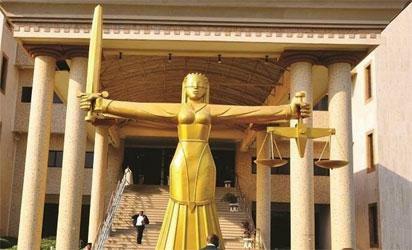 The magistrate, Mrs A. F. O. Botoku, granted him bail in the sum of N20 million with two sureties in like sum. She stated that the sureties must not be on less than Level 16 in the Civil Service and adjourned till February 12. The post Herbalists defraud businessman of N190m appeared first on Vanguard News.